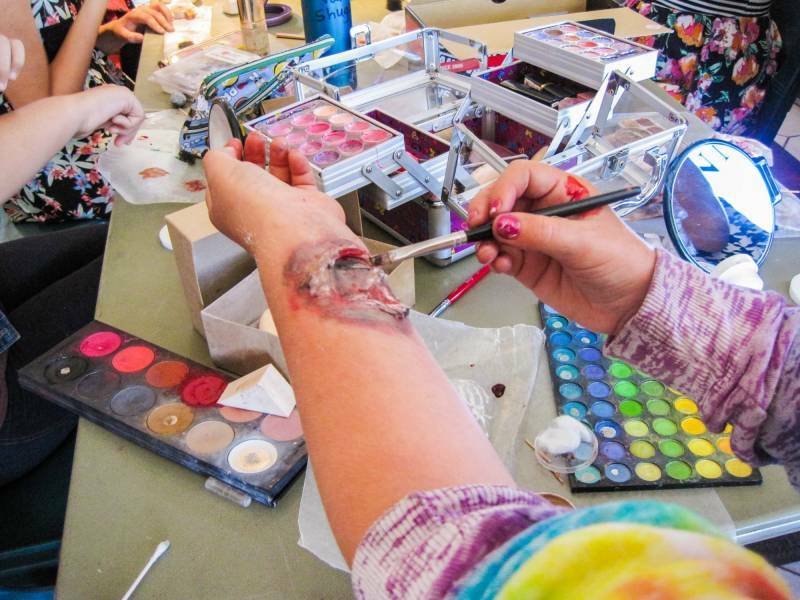 "I think of makeup and special effects as magic, as illusion..."
Let your imagination run wild as you explore the science and artistry that is stage and movie makeup! 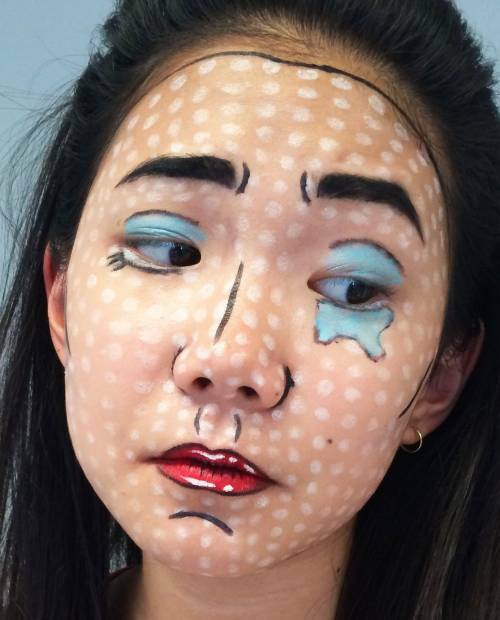 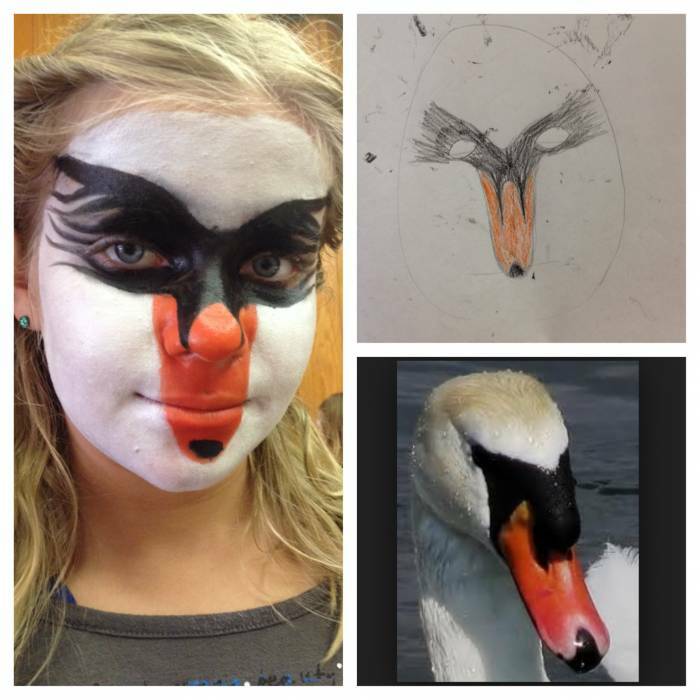 Cosmetics will be your paint and the human form will be your canvas as you let your creativity take flight! 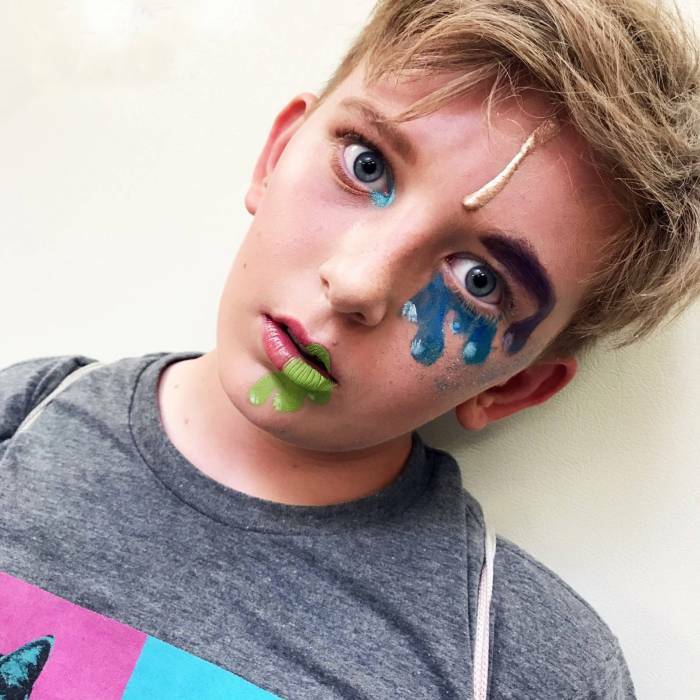 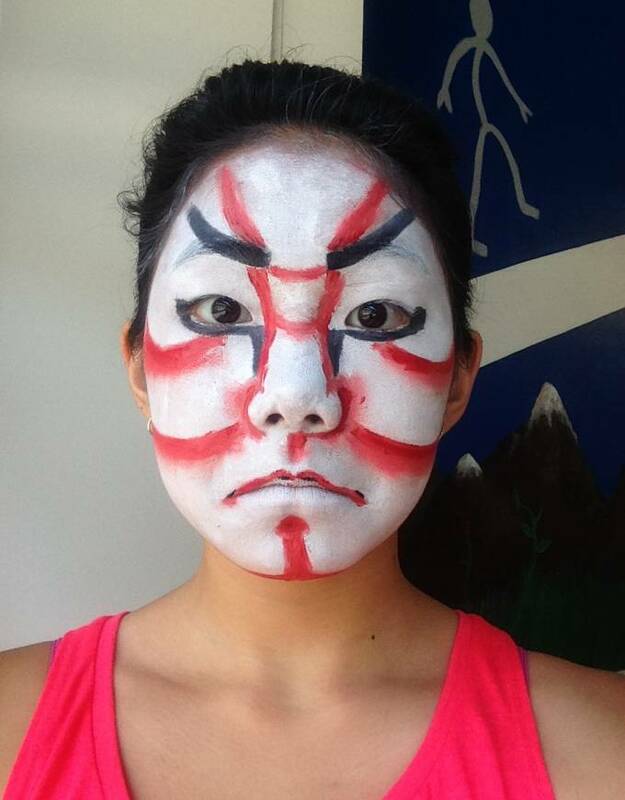 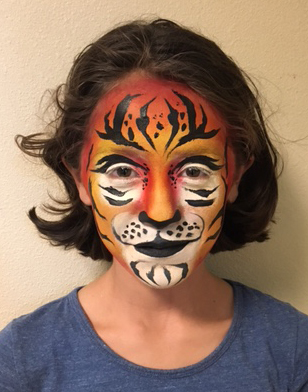 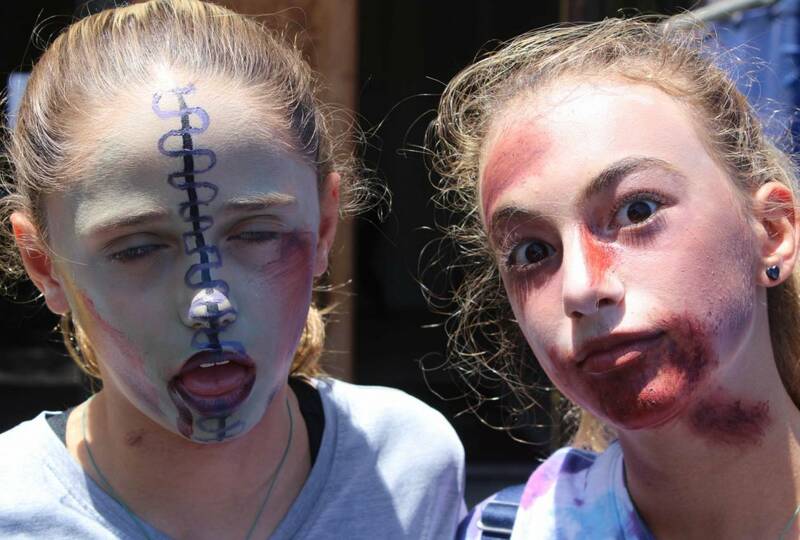 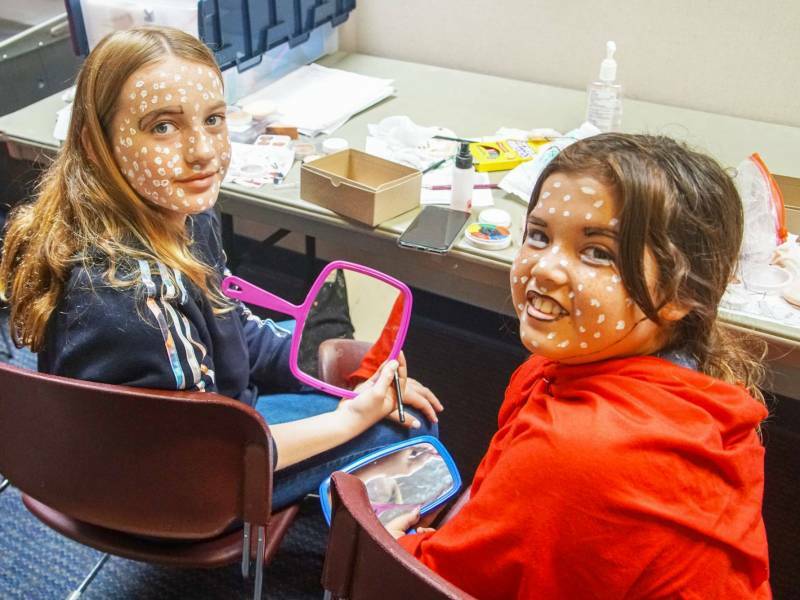 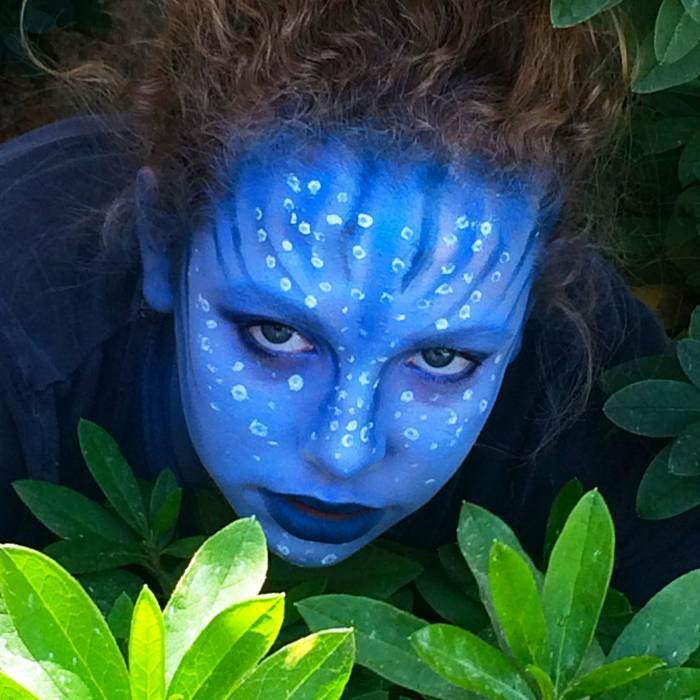 Each one-week session of camp (for ages 8 – 15) is a fun, hands-on exploration into the world of stage and movie makeup. 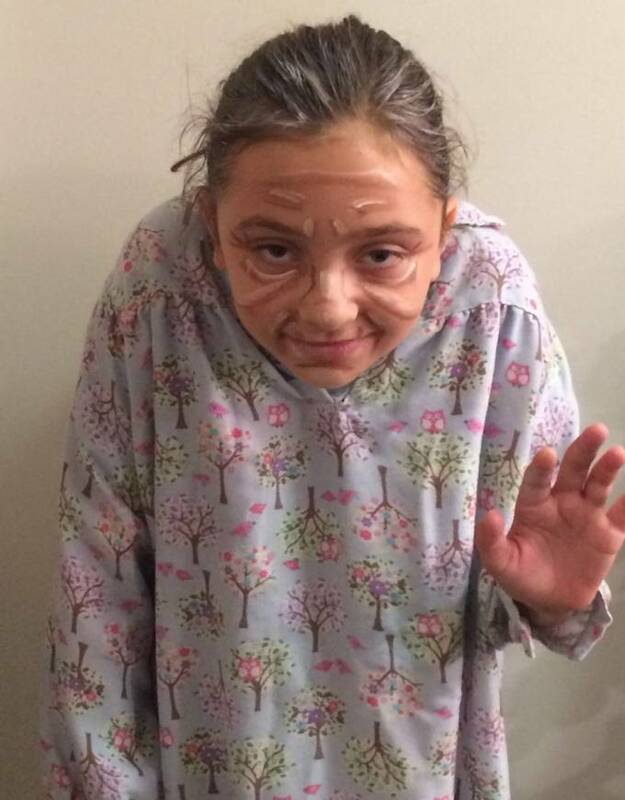 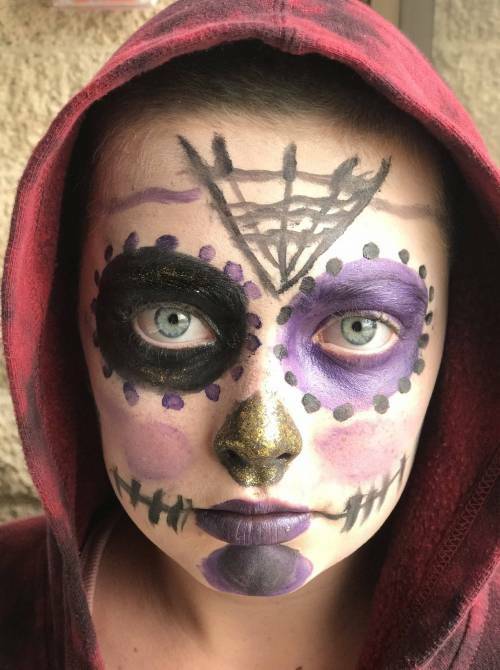 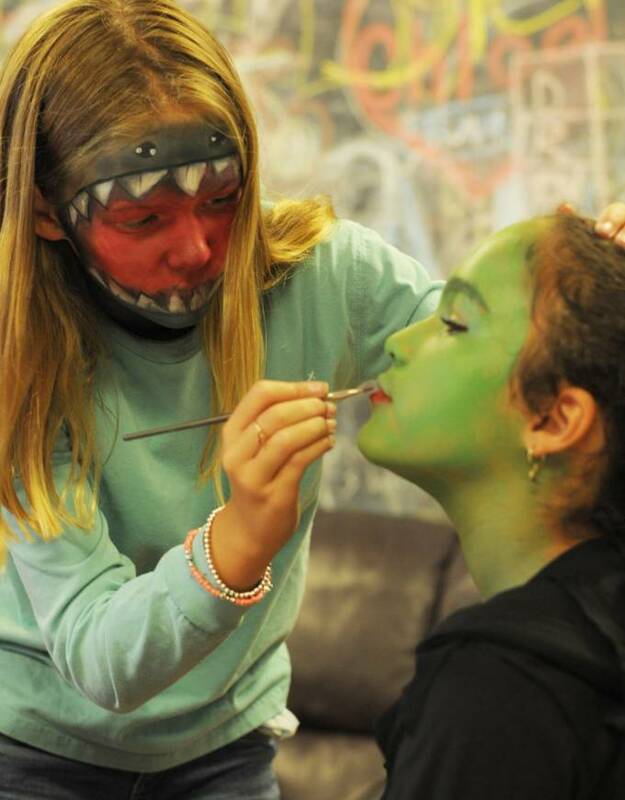 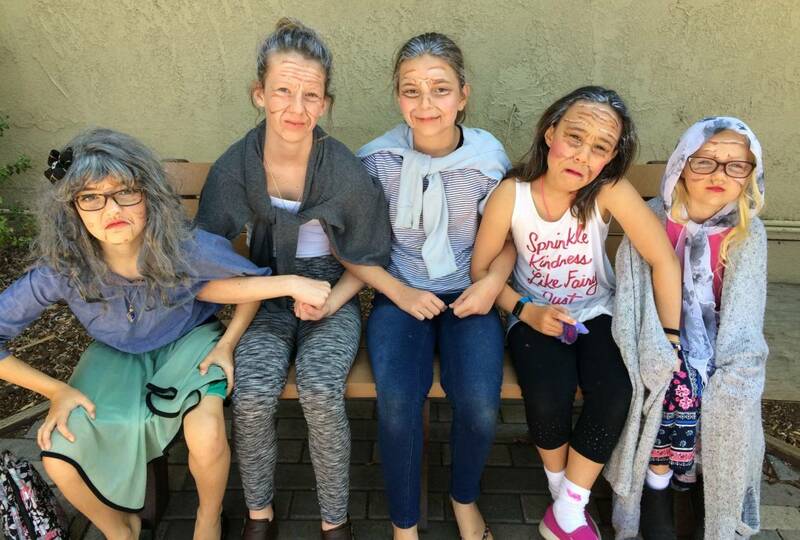 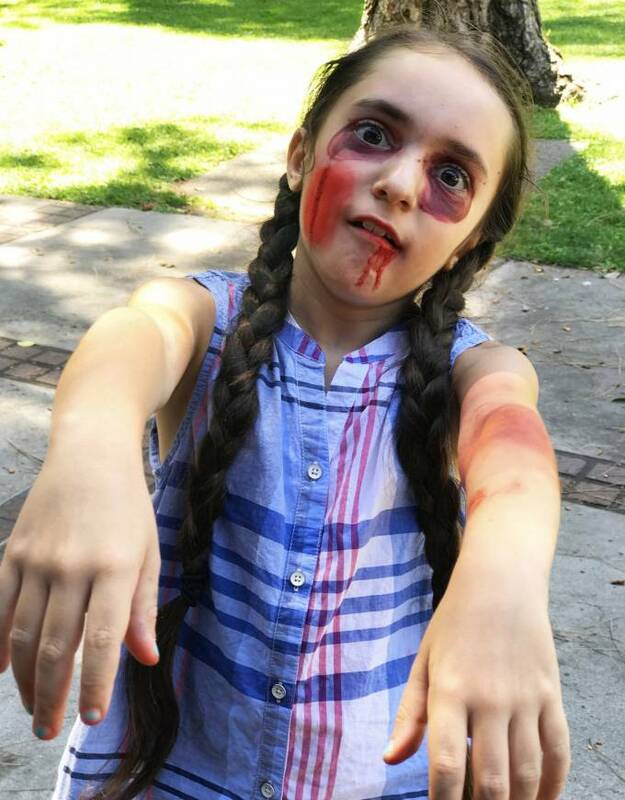 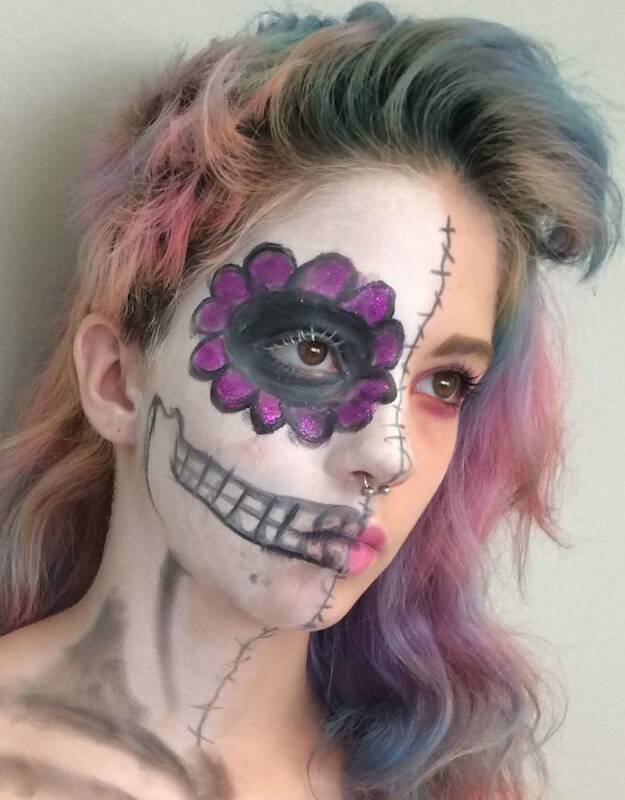 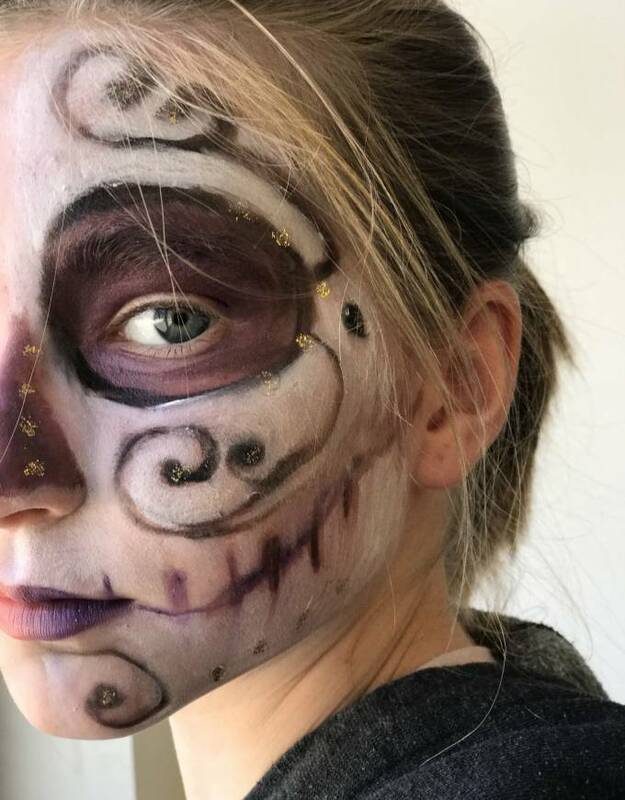 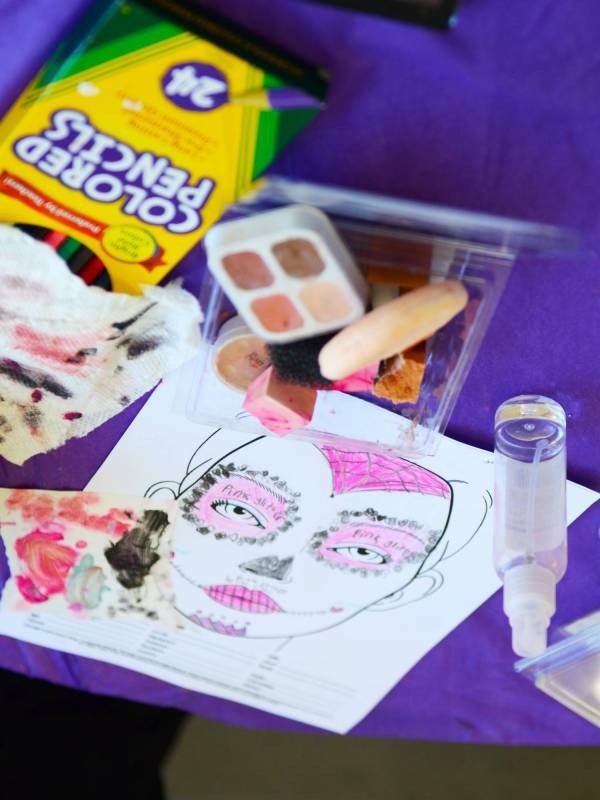 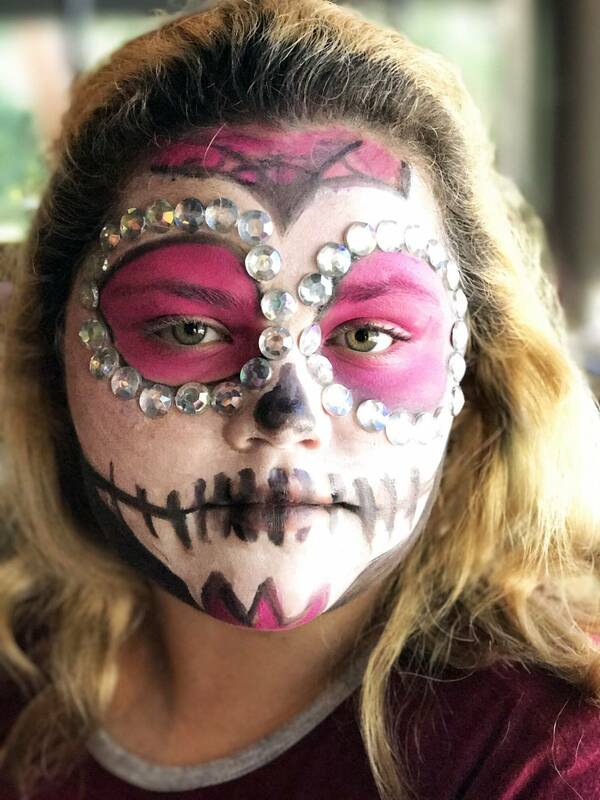 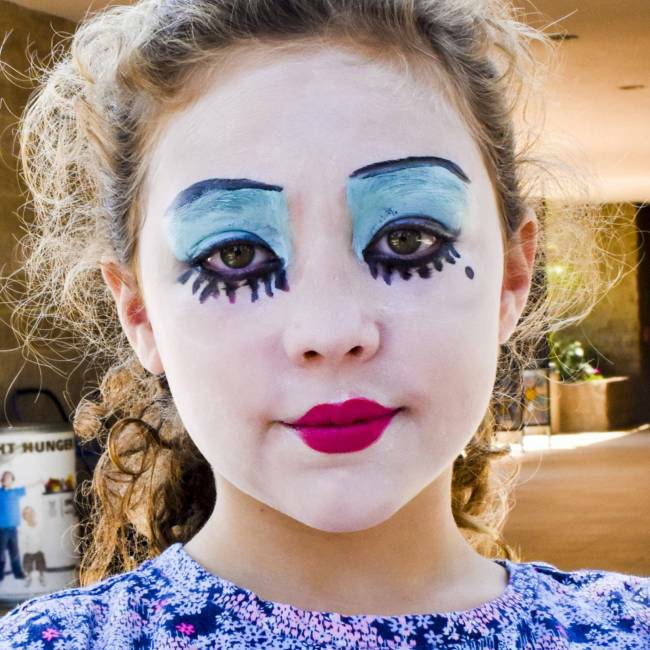 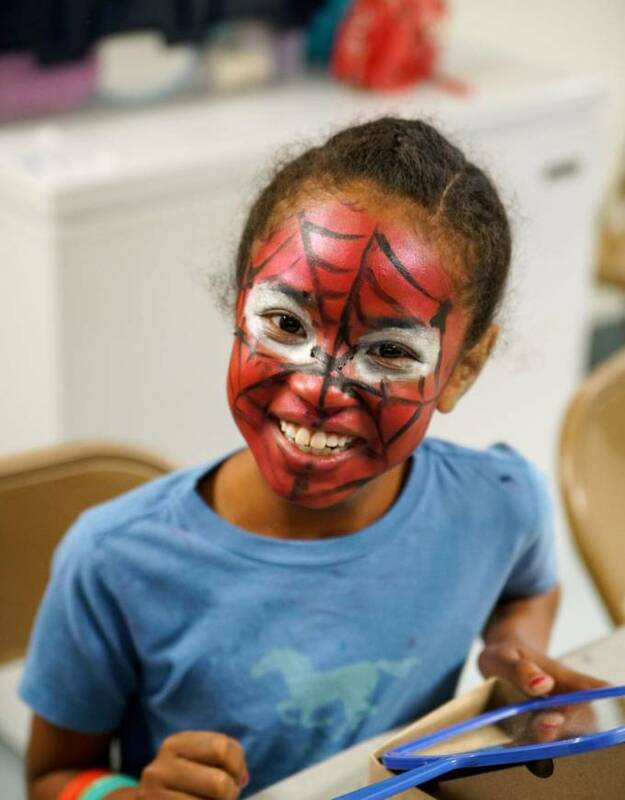 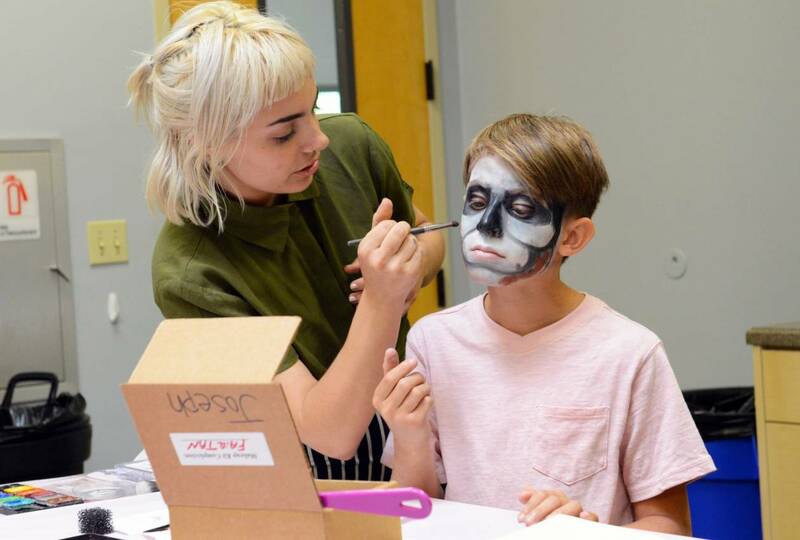 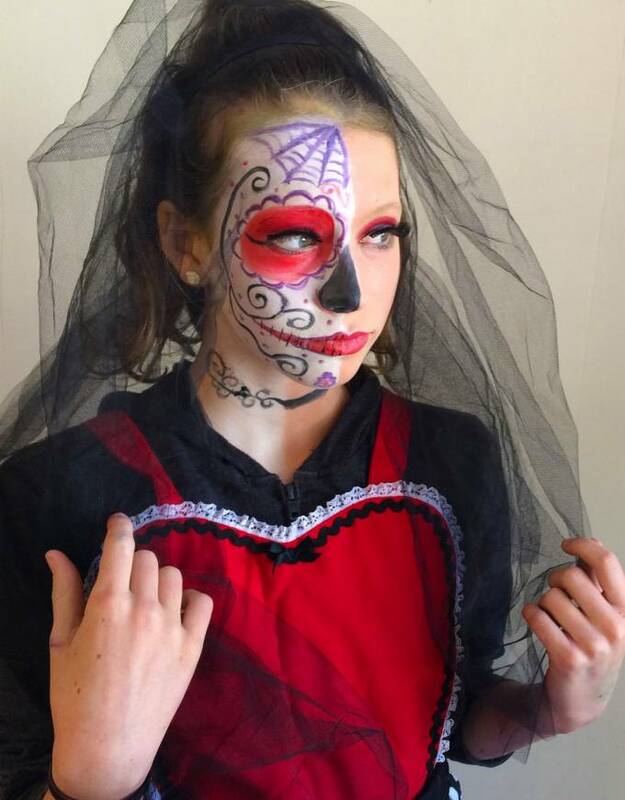 Daily activities include a variety of themes and styles, including Movie Makeup, Glamour and Fashion, Scars and Special Effects, Age and Character Makeup, and even Zombie Day! 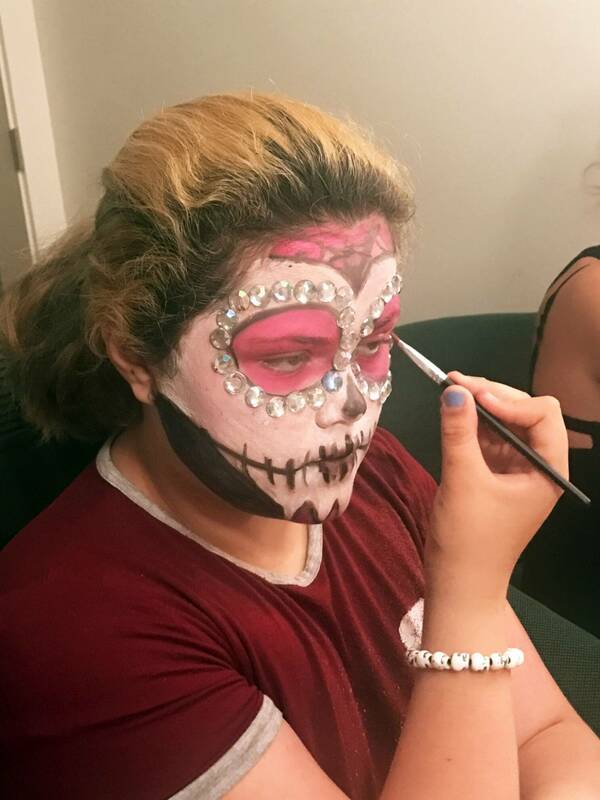 Students will be taught the fundamentals of makeup, color theory and coordination, safety, sanitation and hygiene, highlights, shading, study of face shapes and bone structure, and much, much more. 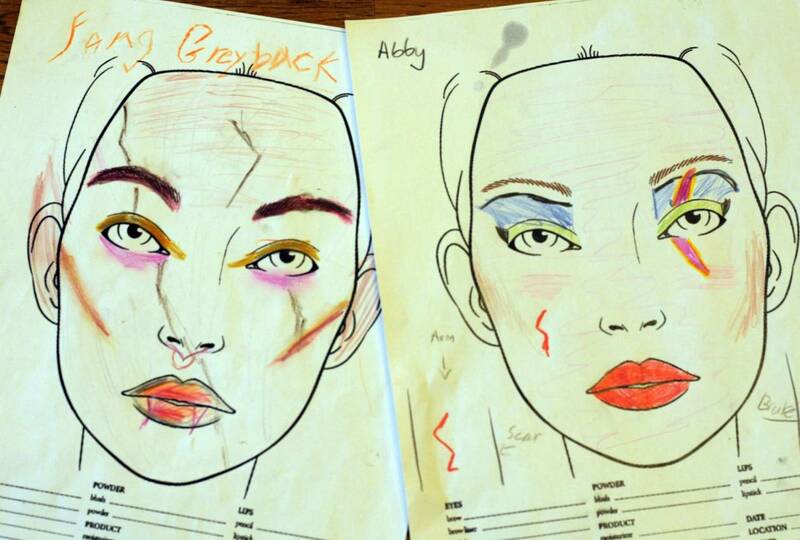 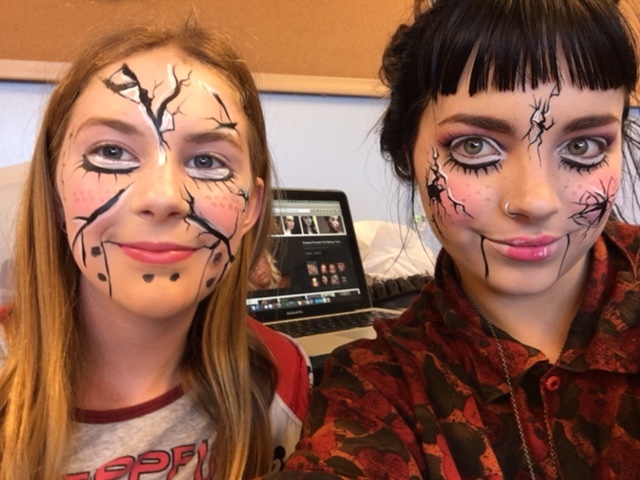 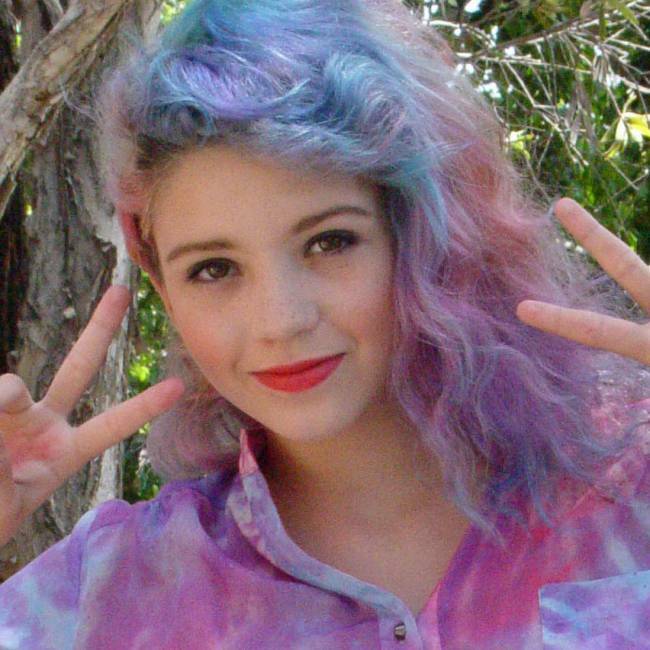 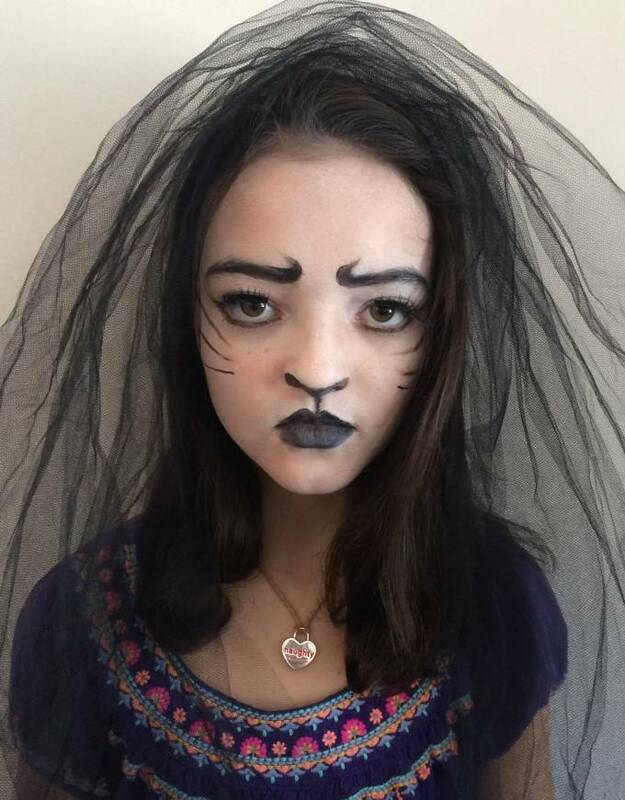 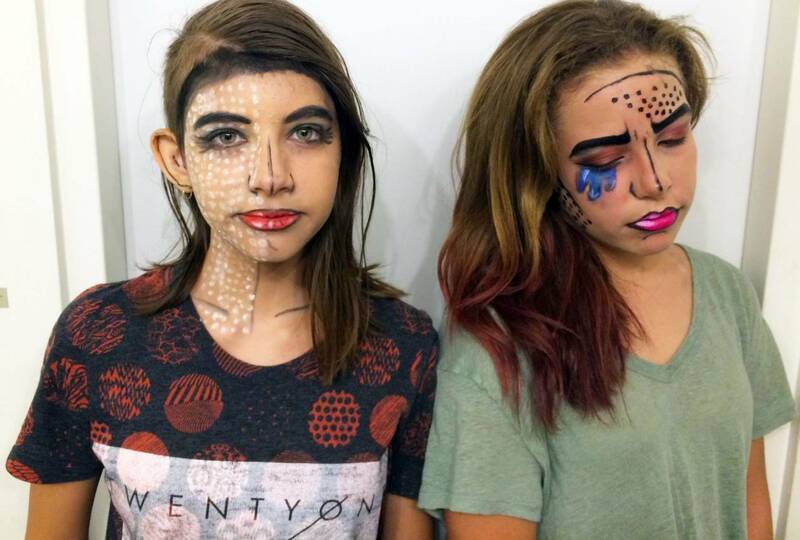 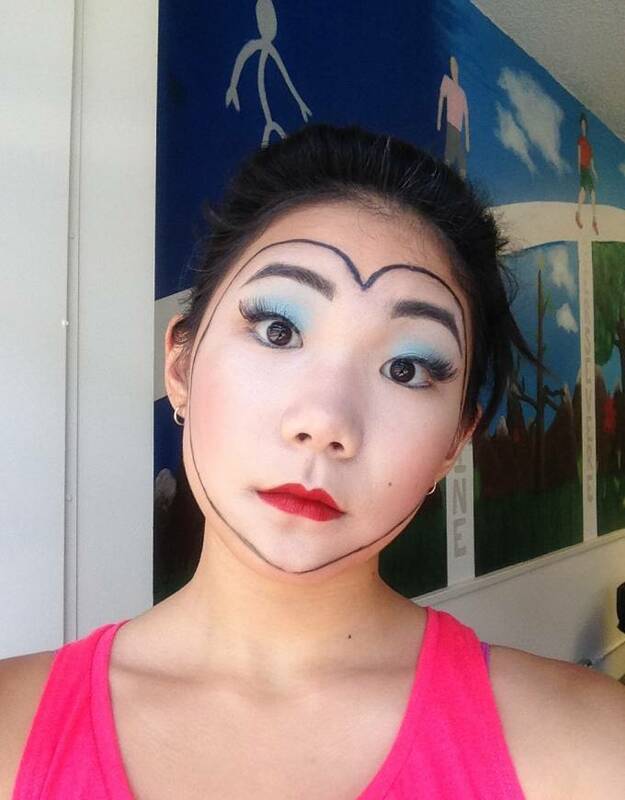 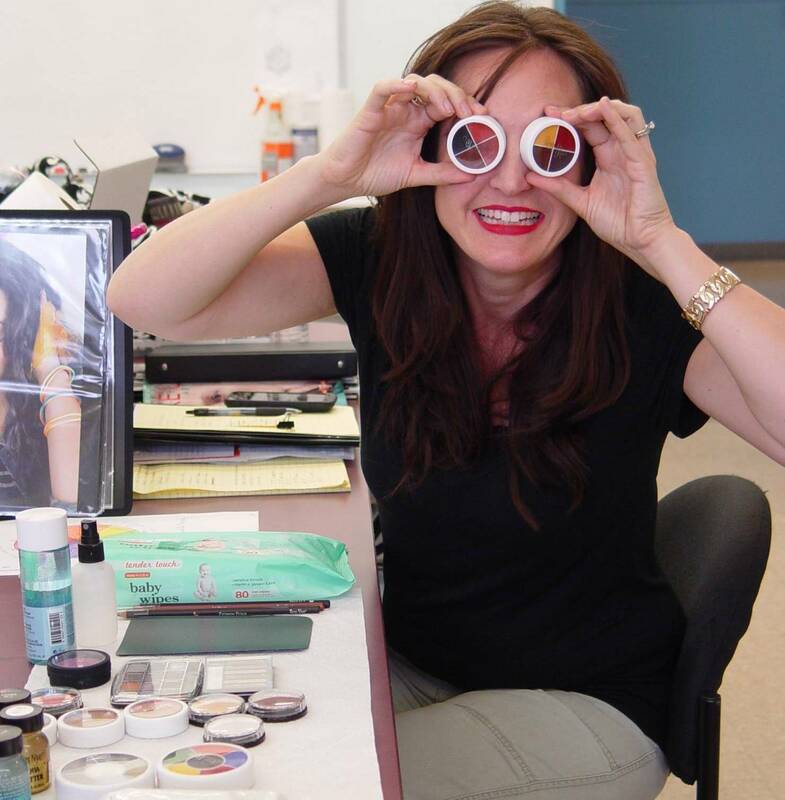 For added fun, on each Friday, our junior makeup artists get to display their handiwork before a live audience! 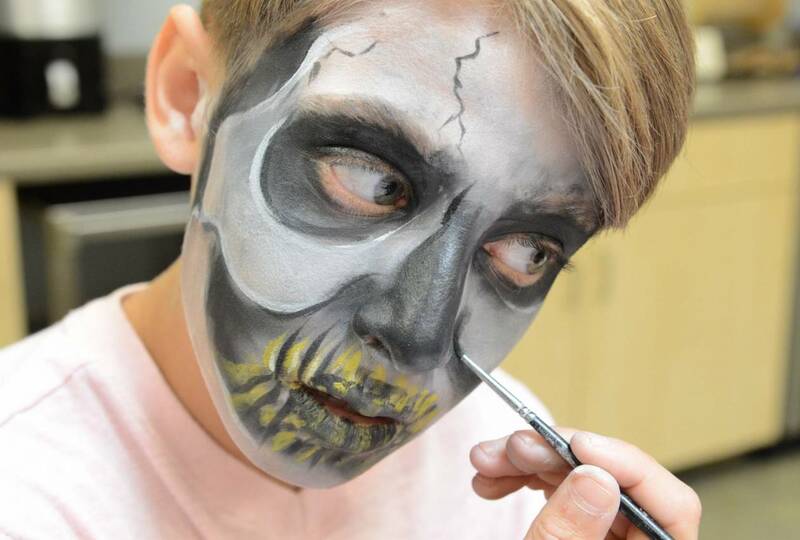 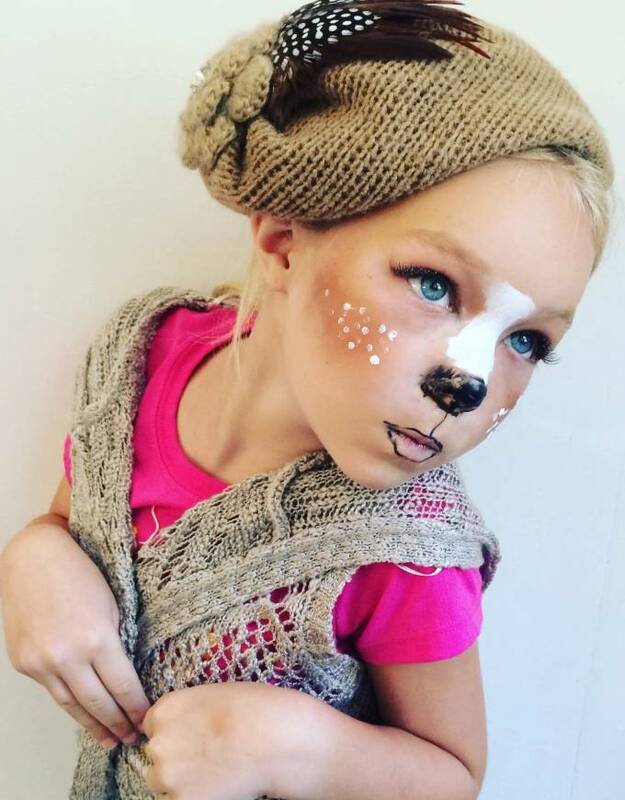 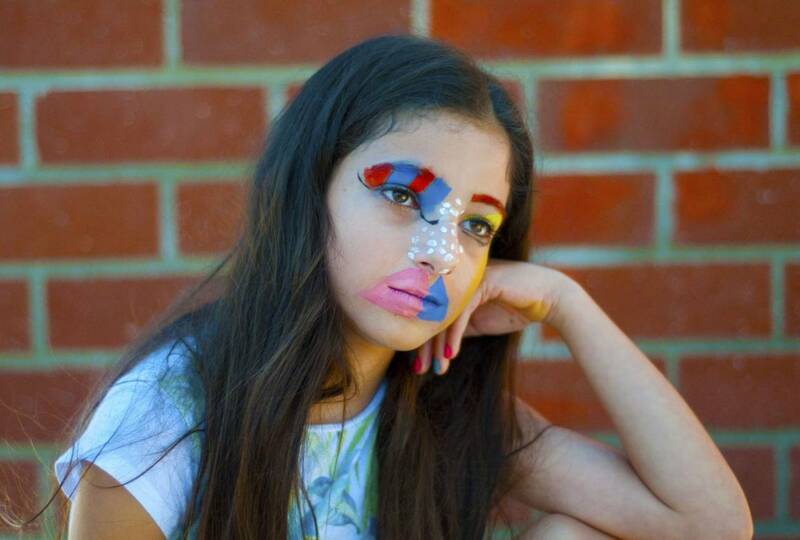 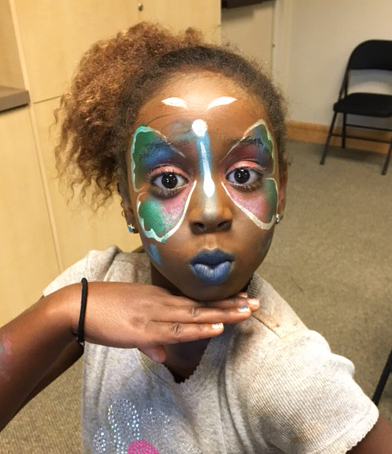 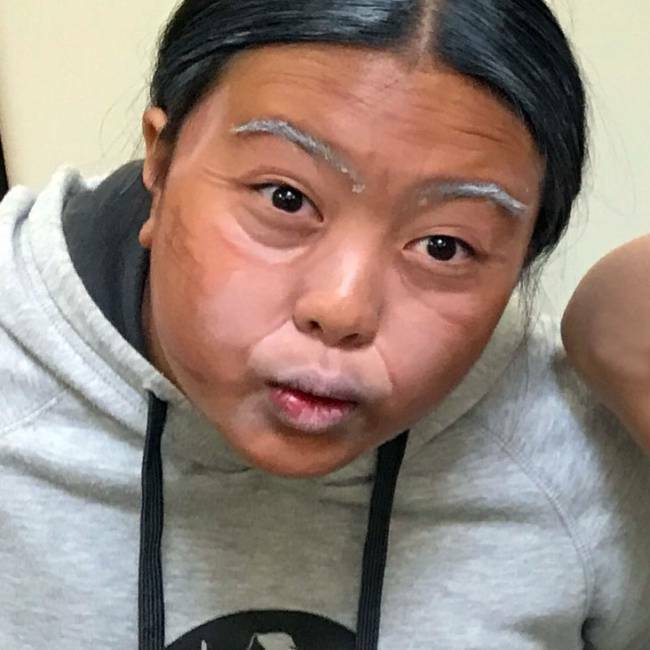 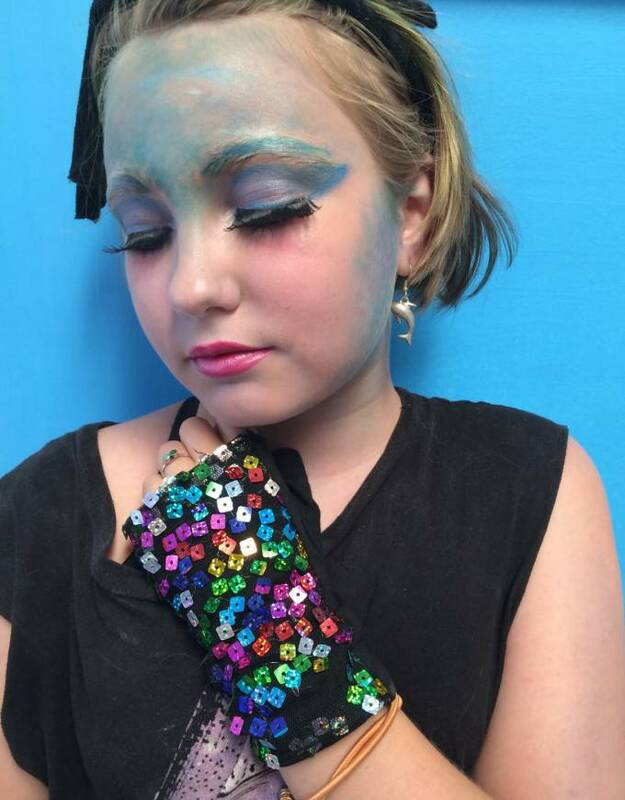 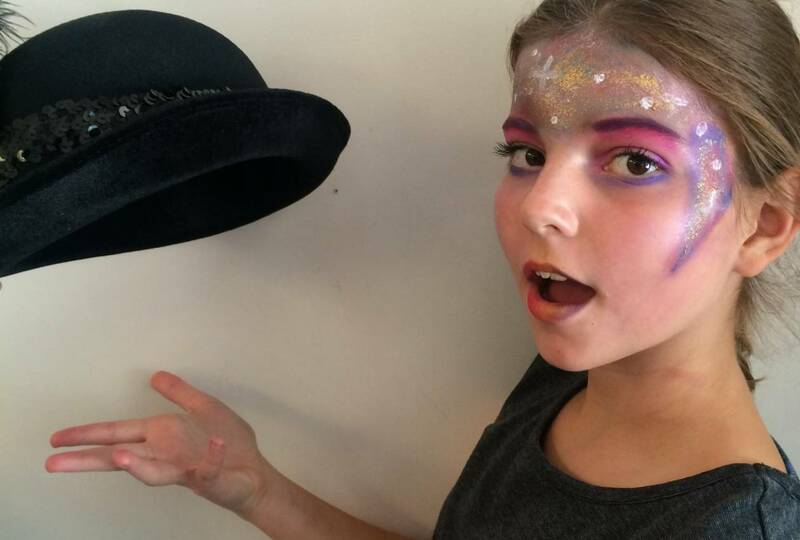 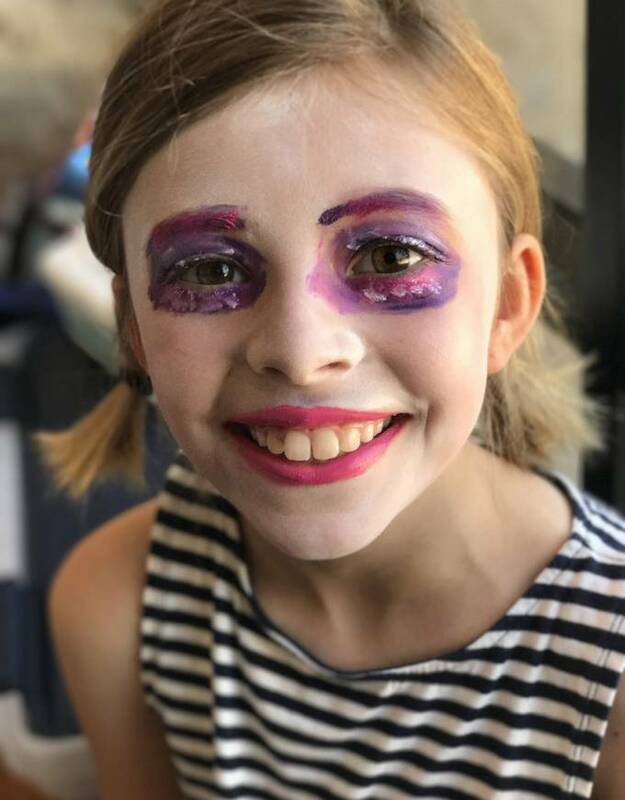 Nourishing the imagination, collaborating with others, critical thinking, knowledge of art, science and history, development of problem solving and fine motor skills are just some of the benefits our students get from learning about makeup and special effects. 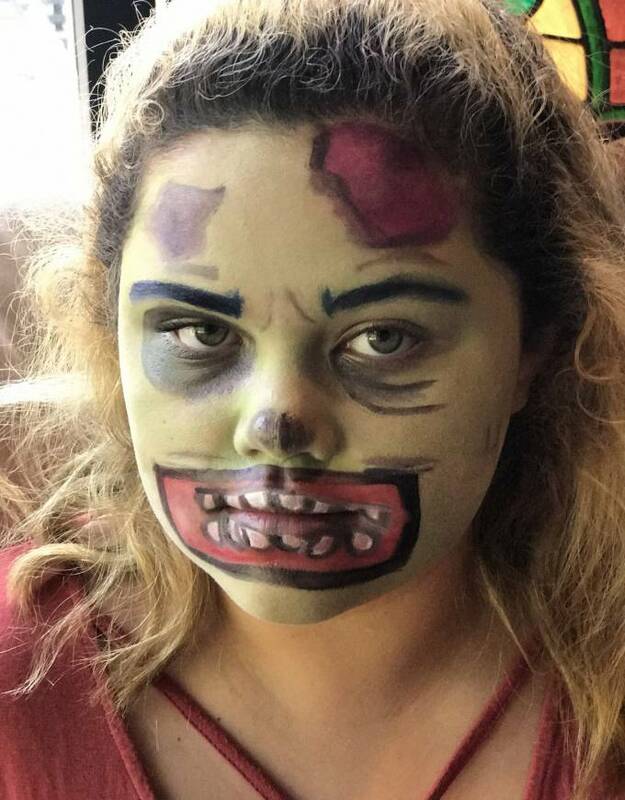 But most importantly, it’s FUN! 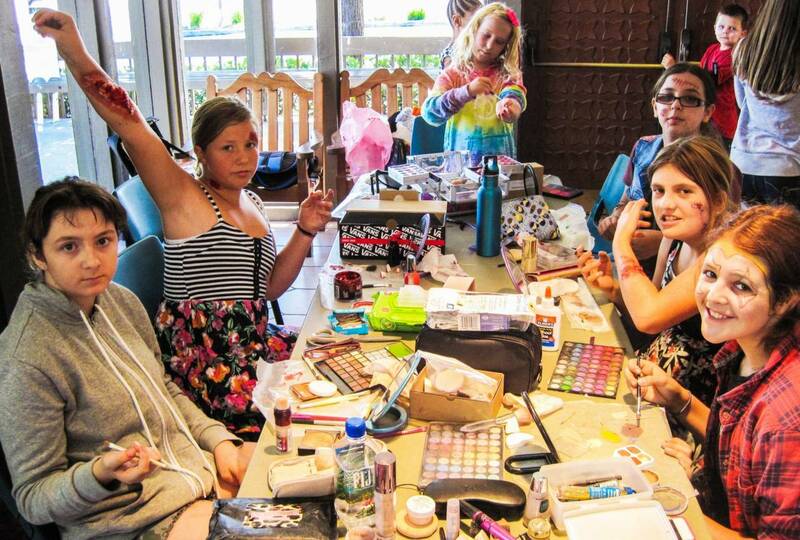 So come join the adventure at PAW’s Stage F/X Makeup Camp. 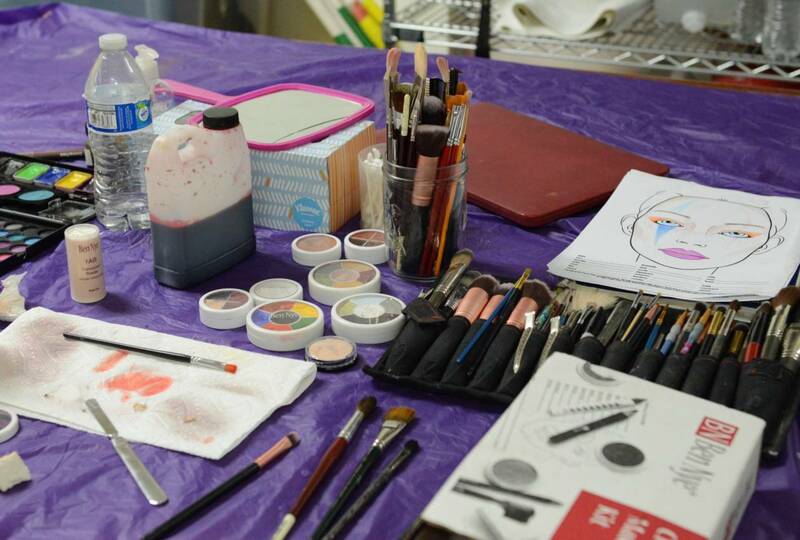 Your canvas and palette await! 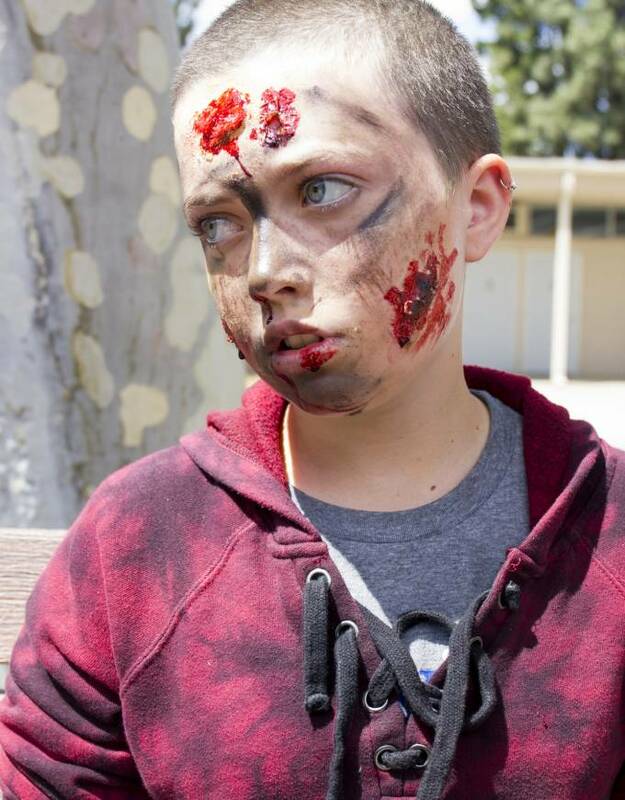 Thursday: Creatures, Scars, Special F/X & Zombie Day! 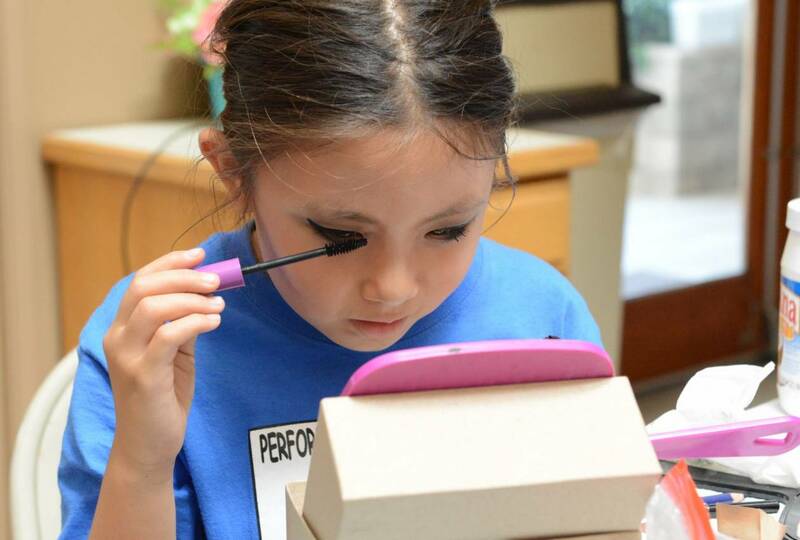 Each child will receive a Personal Ben Nye Makeup Kit, valued at $20, to use at camp & enjoy at home. 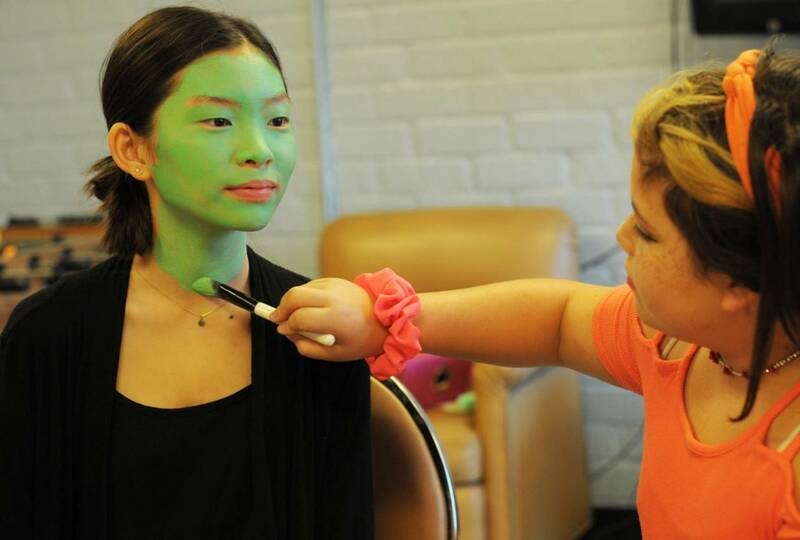 PAW Staff will also utilize Ben Nye Special Effects Makeup at camp for advanced workshops and effects. 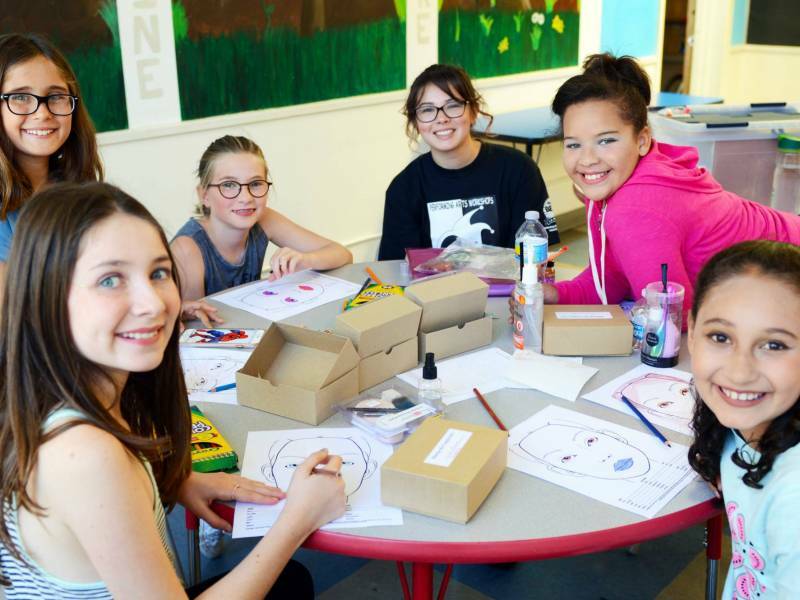 Weeks 3 &6 are available. 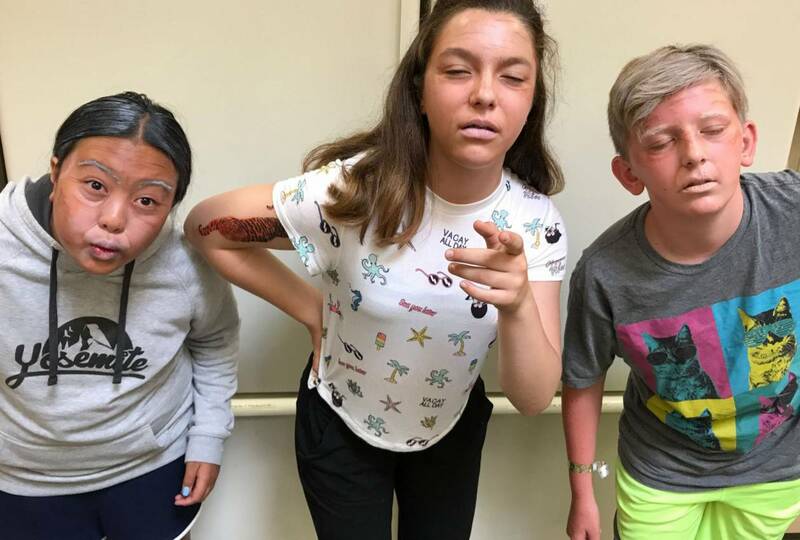 Weeks 3, 5 & 7 are available. 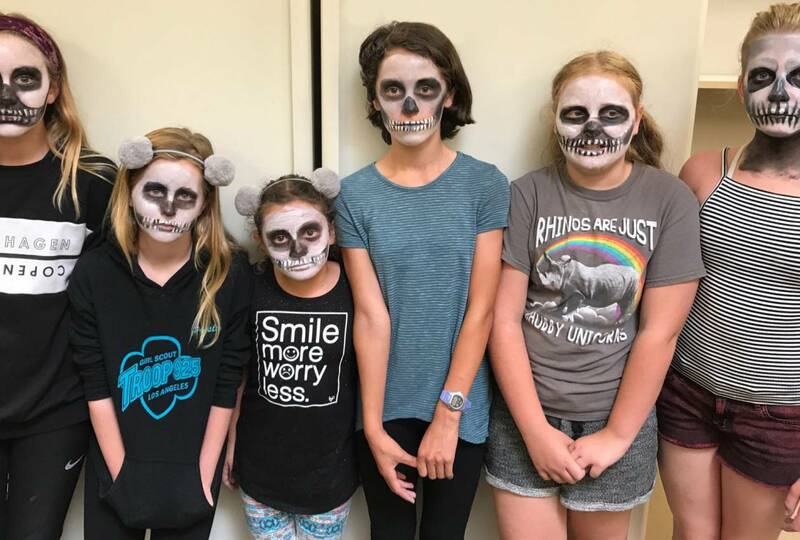 Weeks 1 & 8 are available. 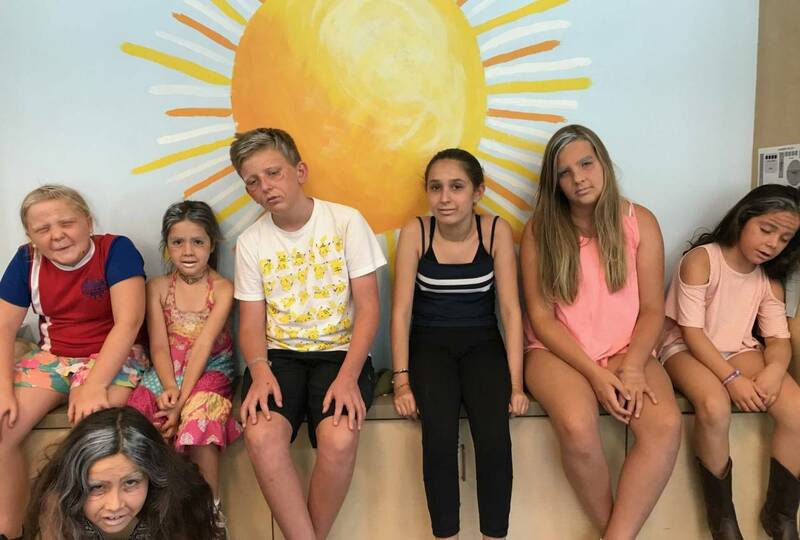 Weeks 2, 6 & 9 are available. 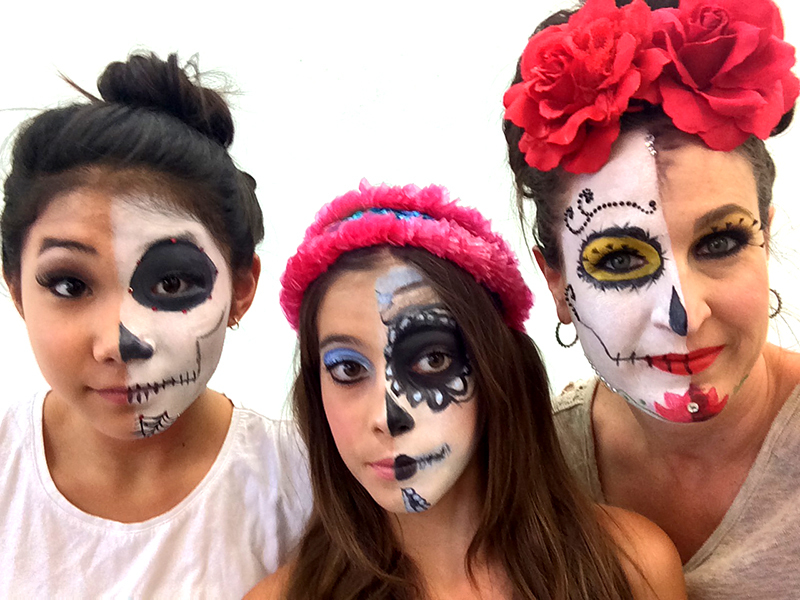 Weeks 1, 4 & 8 are available. 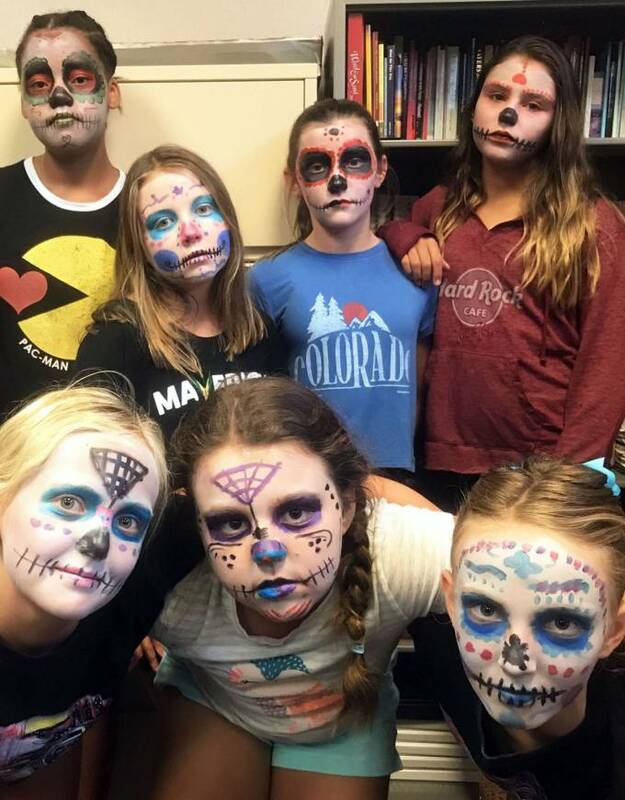 Weeks 2 & 7 are available. 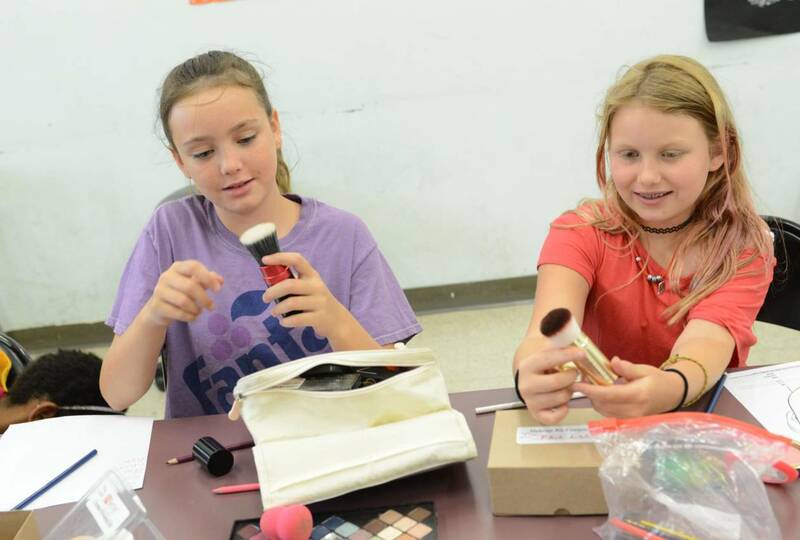 Makeup products for this camp include but are not limited to the use of creme foundation, powder, rouge, highlights, shadows, eye liner, mascaras, liquid latex, stage blood, and nose & scar wax. 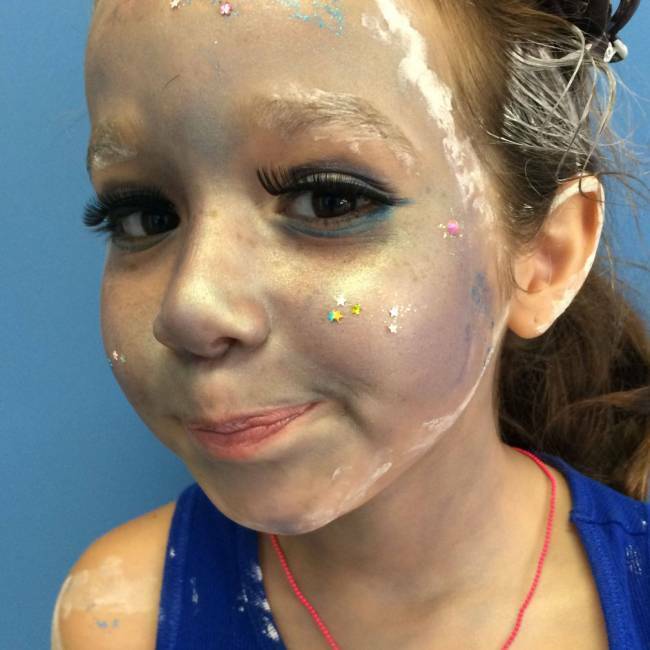 Parents must disclose to PAW any skin conditions and/or allergies their child may have. 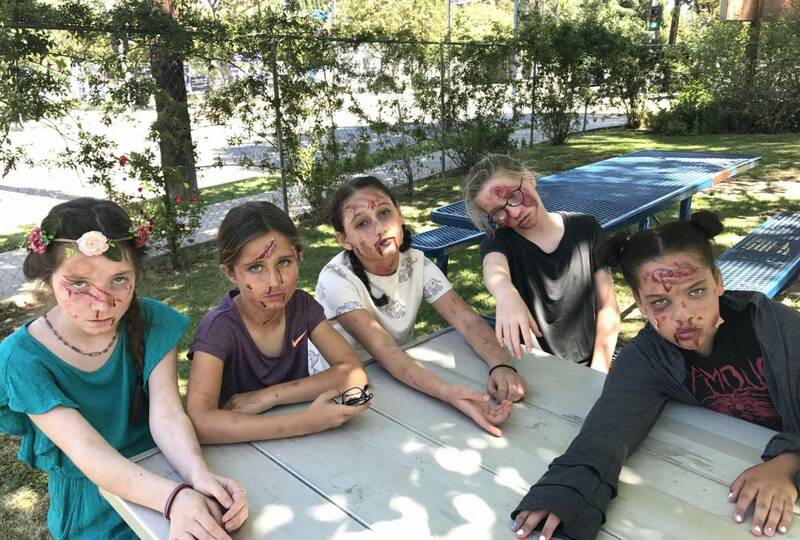 This camp is not recommended for children with skin allergies and/or skin conditions. 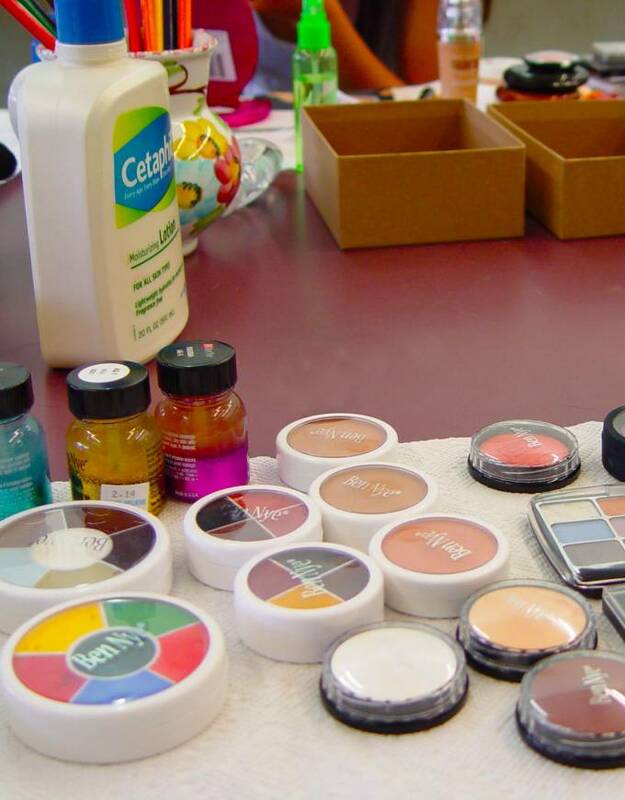 We reserve the right to determine activities at our discretion. 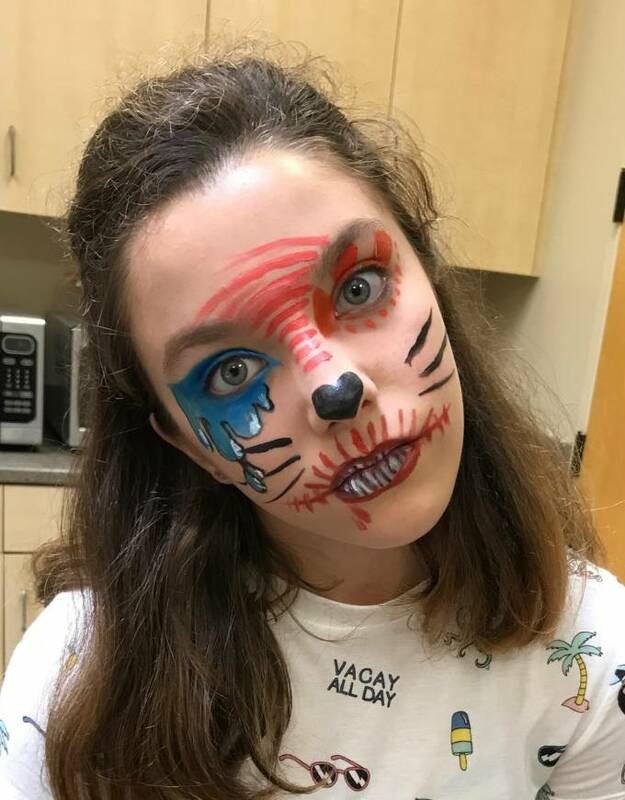 PAW is not responsible for any clothing stained or damaged by makeup. 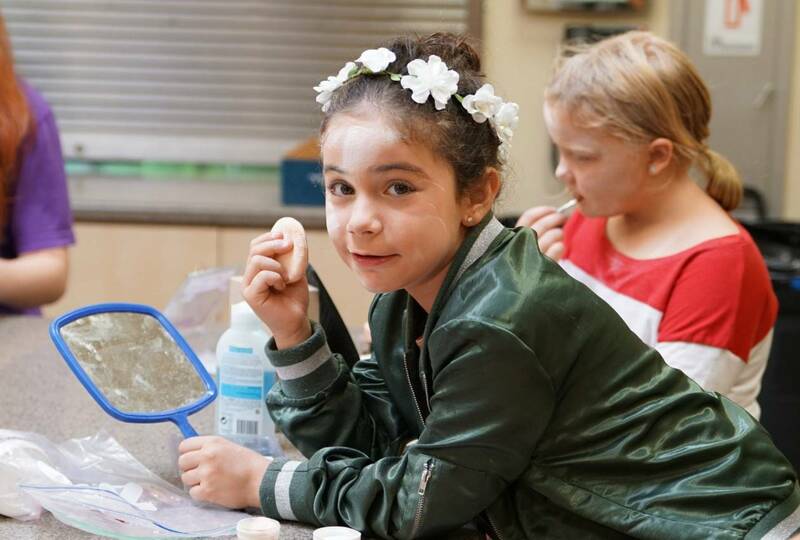 Parents are encouraged to dress their child accordingly and to send a smock or over-shirt to wear at camp each day.